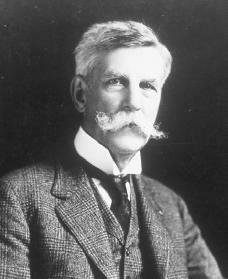 As a Supreme Court justice and a legal writer, Oliver Wendell Holmes Jr. was a key figure in the debate concerning the role of law in a rapidly changing America during the early twentieth century. Not only did he personally contribute to the debate, but he also served as a symbol to a generation of legal and political thinkers. Oliver Wendell Holmes Jr. was born in Boston, Massachusetts, on March 8, 1841, into one of the city's most celebrated families. His father, Oliver Wendell Holmes, was a leader in the medical profession as well as a famous writer for the Atlantic Monthly, a popular political magazine in its time. His family life brought young Oliver into contact with many of Boston's leading intellectuals, including Ralph Waldo Emerson (1803–1882), America's most famous essay writer and lecturer during this period. Holmes entered Harvard College in 1857. There is little evidence that his college education was of great importance to him. Instead, Holmes's greatest learning experience was his part in the American Civil War (1861–65). The Civil War began as an attempt by the federal government of the United States to preserve the Union after eleven Southern states chose to leave and form an independent nation. The war also involved the issue of whether or not slavery would remain legal in parts of the country. After the federal government and the Northern states won the war, the Union was preserved and slavery was no longer allowed in any part of the United States. Holmes's participation in many battles resulted in three wounds, of which he was very proud. He left the military in July 1864. The impact of the war on Holmes had less to do with the political issues over which it had been fought than with its demonstration of the importance of commitment to a higher cause. America was changing rapidly, and Holmes grew up in a world where many accepted beliefs were being challenged. Holmes responded by developing a belief in the importance of devoting oneself to a cause even if it was incomprehensible, or unable to be understood by everyone. Furthermore, the war supported Holmes's belief that all of life is a battle, with victory going to the strongest. In this way he fully accepted the emphasis of his age on "survival of the fittest." Unlike many of his peers, however, he pointed out that the strongest force in a society was its majority, a belief he would stand by during his later career as a judge. After the war Holmes attended Harvard Law School and graduated in 1866. The following year he was admitted to the Massachusetts bar, an association for lawyers. After his first trip to England, he threw himself into his legal career. He eventually helped found the firm of Shattuck, Holmes and Munroe. The time that remained after law practice he used for law study. In 1872 Holmes married Fanny Bowditch Dixwell, the daughter of his former schoolmaster. Between 1870 and 1873 Holmes edited the American Law Review, a distinguished law publication. Holmes also updated the publication of the classic work Commentaries on American Law (1873), written by Chancellor James Kent (1863–1847). Throughout the 1870s Holmes was also researching the questions he would discuss in a set of lectures at the Lowell Institute in 1880. These, published the following year as The Common Law, brought him worldwide fame. The first paragraph of The Common Law contains what is probably Holmes's most famous sentence: "The life of the law has not been logic: it has been experience." He goes on to argue that law is a series of responses to social problems, not simply a set of theories that are difficult to understand. His book contributed to the awakening interest in the United States in "sociological jurisprudence," or the relationship between law and other social institutions. Holmes then became a professor of law at Harvard Law School. He had worked in this position for less than a year when he became an associate justice of the Supreme Judicial Court of Massachusetts on January 3, 1883. He was promoted to chief justice on August 5, 1899, and his reputation as a daring thinker began to grow. Many of Holmes's groundbreaking opinions upheld the right of the state to regulate the economy and other social issues. Theodore Roosevelt (1858–1919) became president in 1901. The new president was eager to appoint men to the Supreme Court who would help change the role of government and would uphold the new laws he himself wanted to pass. Viewing Holmes as such a man, Roosevelt appointed him to the U.S. Supreme Court. Holmes took his seat on December 8, 1902, at the age of sixty-one. Holmes's most important early opinions dealt with regulation of the national economy. His most famous opinion of the economy is probably Lochner v. New York. In this case, Holmes strongly disagreed when the Court struck down a New York law limiting the hours a baker could be made to work. He rejected the Court's social thinking. For him the key question was not whether or not this was right or wrong but rather "the right of a majority to embody their opinions in law." Holmes became even more famous after World War I (1914–18) because of his opinions regarding the regulation of freedom of speech. Although his reasoning was not always faultless, he used his superb writing skills to raise a powerful sense of the importance of civil liberties, or freedoms. In Schenck v. United States (1919) Holmes upheld the conviction of a man who had encouraged people to resist the draft. (The draft was a federal law that ordered men to register with the military in case they would be needed in times of war.) Holmes's support of this conviction was not because the man ignored federal law, rather that he was a "clear and present danger" to the peace and order of society. In Abrams v. United States (1919) Holmes wrote his most passionate defense of free speech. He argued that only a "free trade in ideas" could guarantee the truth and that defense of freedom of speech is essential. Holmes died on March 6, 1935, in Washington, D.C. Oliver Wendell Holmes Jr. was a legal trailblazer who helped define the role of law in the twentieth century. His theories and ideas are as relevant today as they were when he wrote them. Alschuler, Albert W. Law without Values: The Life, Work, and Legacy of Justice Holmes. Chicago: University of Chicago Press, 2000. Holmes, Oliver Wendell. The Essential Holmes. Edited by Richard A. Posner. Chicago: University of Chicago Press, 1992. White, G. Edward. Justice Oliver Wendell Holmes: Law and the Inner Self. New York: Oxford University Press, 1993. White, G. Edward. Oliver Wendell Holmes: Sage of the Supreme Court. New York: Oxford University Press, 2000.
in the freedom of speech paragraphs it does not say that Holmes was the Chief Justice of the Supreme Court when he did these cases. So people might think that he is still a judge. So you might want to add that Holmes was Chief Justice at that point.